I have been glued to the TV these past few days. Ed McMahon, Farrah Fawcett, Michael Jackson and Billy Mays. Michael Jackson had to be one of the most tortured souls I've ever seen. If all those changes on the outside gave one even the slightest glimpse of what was happening on the inside, I can say he was almost frightening. I had almost forgotten the almost fever pitch waiting for the video "Thriller." It blew everyone away and I don't know anyone who can't do some of the that dance. As time went on he became stranger and stranger. I don't know if he is really innocent of the crimes but he didn't do anything to keep himself out of the rumor mill concerning young children. I just think he was a very weird man. Farrah Fawcett was a profile in courage. What a wonderful woman and what a fight she put up against cancer. Strangely enough, I think I will miss Billy Mays the most. I'm really saddened by his death. 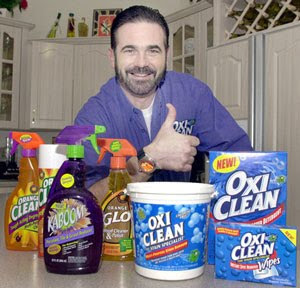 I have to admit his booming voice almost yelling "Billy Mays, here for...." was almost annoying but it grabbed you. I was fascinated by the way he could sell anything. I watched Pitchmen and absorbed almost everything he had to say. He had the pitch. I think that part is easy. What made him a truly great salesman is that he not only knew how to sell but he also believed in what he sold. I love sales. Getting the check gives me a high. Sales isn't just spewing forth information and hope they buy. Sales is convincing people that they can't live without what you have to sell. If you don't believe it, why in the world will they? The world truly lost the voice of an industry and I'm not sure how it will survive. I learned a great deal from him and will miss hearing that voice. It sells everything and to the one who really can get it down, the world awaits. Godspeed Mr. Mays. You sold more than you knew.